Anyone who has heard me speak about the sales process knows that I’m crazy about the importance of business acumen in creating a successful salesperson or sales team. As I’ve written, business acumen is the key driver of success. I’m constantly asked the question, how can we increase the business acumen of a sales team. Other than taking advantage of our Business Acumen for Salespeople program (okay, guilty as charged, a shameless self promoting plug), my answer is usually very complicated. I thought I’d share a simple step to improving business acumen for salespeople (one that we’re going to weave into what we do). Simply assign one of your salespeople to one of Warren Buffet’s annual letter to shareholders (my recommendation is that I’d assign different reports to each rep, but assigning one to all of your reps will certainly save time and could enhance some learning). Then, have them deliver a synopsis. Have them share what they learned and “teach” the business points within the report. To make the exercise really useful, make sure you’ve read the report and ask questions. 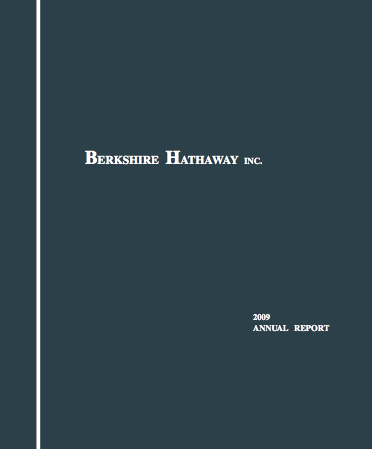 Buffet’s Annual Letters are some of the best business teaching tools I come across. If you and your salespeople understand how the businesses of Berkshire Hathaway make money, you'll naturally see an increase in business acumen. My favorites for this are the reports from 2006, 2007 & 2008. Personally, I found this year’s report (2009) not to be as effective a tool.